Upgrading to a digital SLR is a very exciting prospect. The image and video quality that DSLRs produce is outstanding and the learning curve is much quicker than you might think. Below are our picks for the best entry-level DSLRs of 2018, all of which are relatively easy to use with a range of both automatic and manual shooting modes. 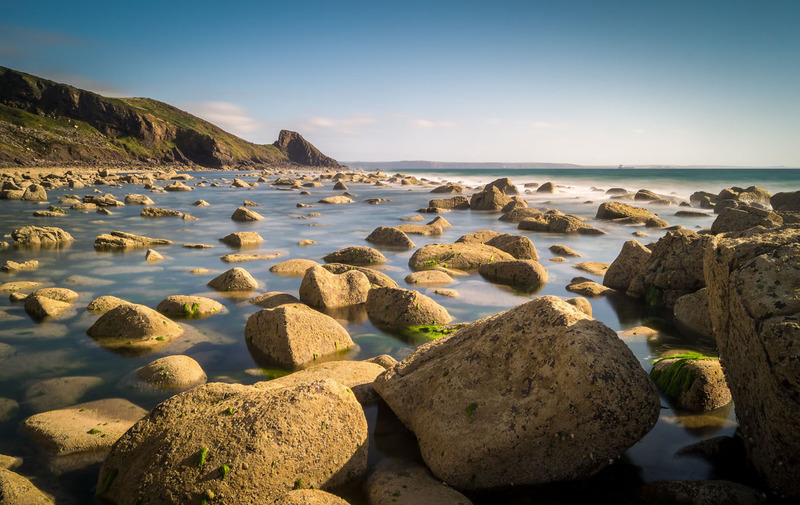 Many people start with a kit lens—18-55mm is the most common—and you can add prime or zoom lenses at the focal lengths of your choosing for even better results. For more background information, see our entry-level DSLR comparison table and buying advice below the picks. What we like: Essentially the same image quality as the D3400 for $100 less. What we don’t: Inferior battery life than the D3400. Despite the release of the newer D3400 below, the D3300 offers essentially the same image and video quality for $100 less. All things considered, it’s our favorite entry-level DSLR for 2018, offering 24.2 megapixels of resolution, a fast burst rate of 5 frames-per-second, and the easy-to-use functionality that Nikon is known for. Perhaps most importantly, it’s a tremendous value at less than $400 with a kit lens. The D3400 does have better battery life and low light performance, but we still prefer saving with the older model. Keep in mind that the 18-55mm kit lens sold with the D3300 is good but not great. You can add a 55-200mm as part of a two-lens kit, which will have you covered all the way from wide angle to telephoto. But those who progress in their photography may eventually want to add a specialty prime or zoom at your favorite focal lengths. For more features including improved autofocus, see the Nikon D5000 series below. What we like: Features and functionality can’t be beat, particularly for video shooters. What we don’t: Pricey and a bit heavy. At the top of Canon’s popular Rebel lineup sits the T7i, which was new for last year and absolutely flush with features and functionality. Compared to its predecessor, the Rebel T6i below, you get a newer image processor, an improved sensor (the same as the enthusiast Canon 80D), superior autofocus, a faster burst rate, and better battery life, among other features. For everything from stills to videos, the Rebel T7i is the whole package in an entry-level DSLR. 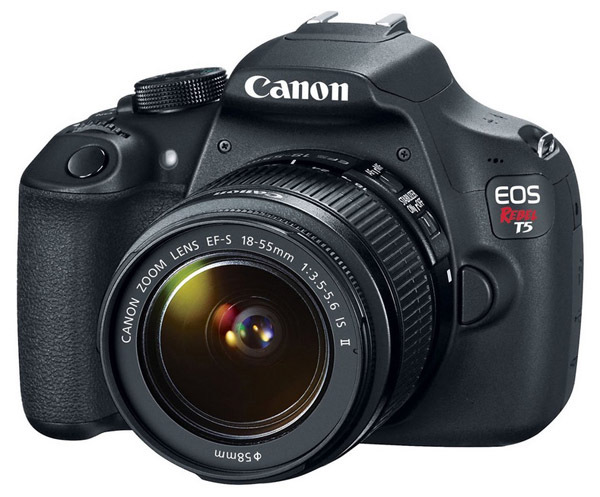 The reason we have the Canon Rebel T7i ranked second is price: $849 is quite high for the entry-level category, and particularly for those buying their first DSLR or with the intention of upgrading as their photography skills improve. But it’s hard to argue against the hardware and feature set, which push the T7i more into the entry-level plus category. If you can afford it, this camera should not disappoint. What we like: A step above the D3000 series. What we don’t: No touchscreen functionality. We are reaching far back into Nikon’s lineup with the D5300, which is not one but two generations old. But that’s not necessarily a bad thing: it has the same resolution as the newer versions—the D5600 and D5500—and doesn’t sacrifice all that much in terms of features. The D5300 doesn’t have touchscreen functionality, and battery life and low light performance have improved on more recent models. But the nuts and bolts are surprisingly similar, and this oldie but goodie is a steal at less than $550 with a kit lens. One of the biggest hurdles in choosing the Nikon D5300 will be availability. Some DSLR models that are multiple generations old stick around for a while, but usually retailers eventually clear them out for newer versions. 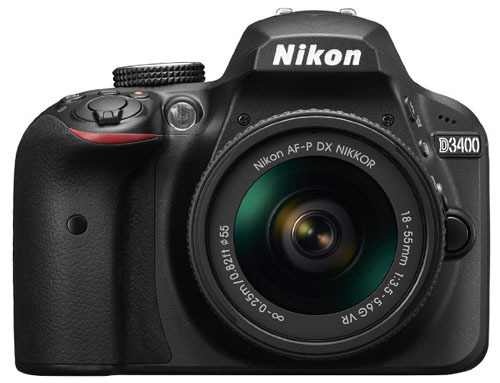 As of spring 2018, the D5300 still is sold new at a number of online retailers. Grab one while you can as supply certainly will continue to dwindle. What we like: Considerably cheaper than the “i” series. 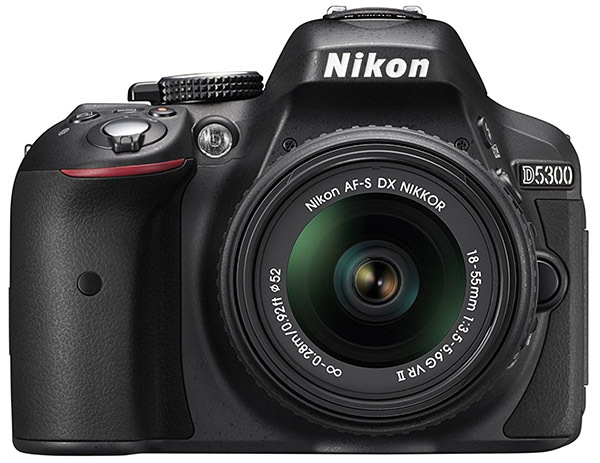 What we don’t: In the price range, we still prefer the Nikon D3400. Cameras like the Rebel T7i and T6i are packed with features, but there are less expensive options in Canon’s entry-level line. The Rebel T6 (no “i”) is a stripped down version with fewer megapixels and a simpler autofocus system. It also has a fixed rear LCD that doesn’t tilt, less ISO sensitivity in low light, and the camera comes with an inferior kit lens. But at around $450 with an 18-55mm lens, the T6 gets you out the door with a current entry-level DSLR from one of the best in the business. 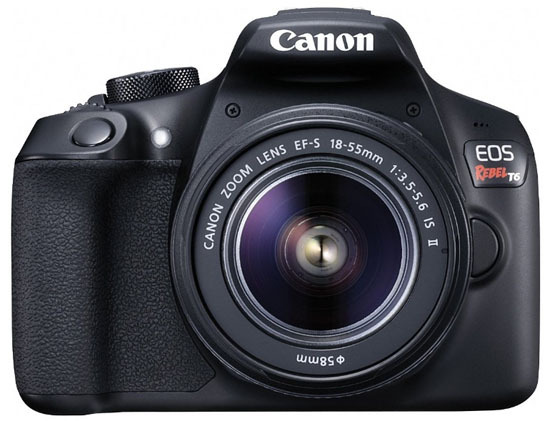 Who should buy the Canon Rebel T6? It’s a viable budget option for those who plan on shooting mostly still photography. Many of the features of the T7i and T6i including the tilting LCD and STM kit lenses are designed with video in mind, and therefore aren’t huge sacrifices for those capturing stills. However, we don’t like the drop in megapixels, which makes the Nikon D3400 below a more attractive option at the $450 price point. What we like: Weather resistance at a great point point. What we don’t: Pentax lens selection is limited. 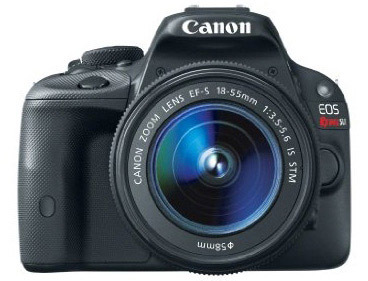 When choosing an entry-level DSLR, most people stick to well-known brands Canon and Nikon. 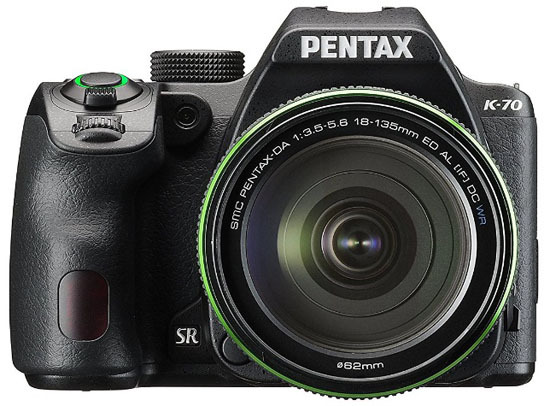 However, for those just getting into outdoor and landscape photography, the Pentax K-S2 offers a very unique feature in this price range: weather resistance. In fact, it’s the cheapest weather resistant DSLR on the market—this technology usually is saved for prosumer and full-frame cameras—and the only such model on this list. In terms of performance, you can expect similar image quality and autofocus as a camera like the Nikon D3400, and the K-S2 even has built-in Wi-Fi, which the D3300 does not. What are the downsides? The KS-2 is relatively heavy at over 21 ounces, and you don’t get the extensive and highly esteemed lens collections that Canon and Nikon offer. Lens selection matters a lot, in our opinion, which brings the KS-2 down the earth. What we like: All that most beginners need in a DSLR. 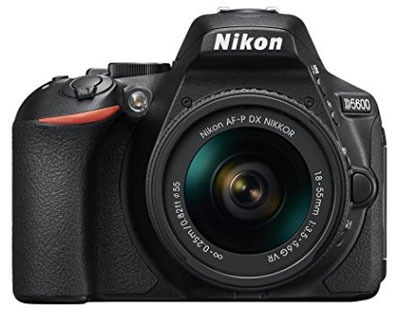 What we don’t: Only minor improvements over the D3300 yet $100 more. Last year, Nikon released the D3400, which takes the reigns as their flagship entry-level DSLR. As we mentioned above, it’s very similar to the older D3300, including a 24.2-megapixel image sensor, Full HD 1080p video functionality, and a host of automatic shooting modes that make this camera easy to use straight out of the box. All in all, it’s a great starter option for those new to the world of DSLRs. What improvements did Nikon make on the D3400? The battery life is considerably better, although it does come at the expense of the flash, which is weaker on the newer model thereby saving power. It also has better ISO sensitivity, which matters if you plan on shooting indoors at night or in other low light scenarios. And the D3400 comes with Nikon’s SnapBridge technology for transferring images and videos to your smartphone via Bluetooth. This isn’t technically wireless, however, which still requires a WU-1a wireless adapter ($39 and sold separately). 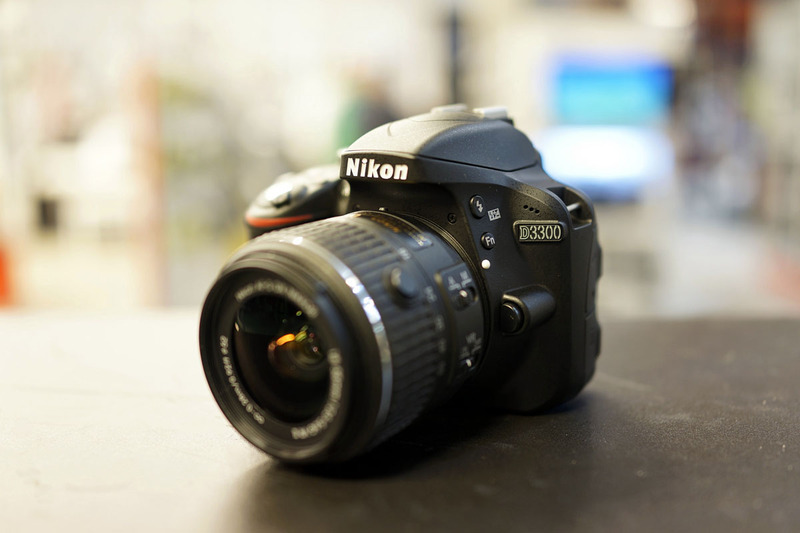 What we like: A nice step up in features from Nikon's D3000 series. What we don't: Much pricier than the D5300; lags behind Canon in video performance. For a step up in features and functionality over the Nikon D3300 and D3400, we categorize the D5500 as entry-level plus. The image sensor and megapixel counts are the same, but the D5500 comes with a more advanced autofocus, a swiveling rear LCD with touchscreen functionality, and built-in Wi-Fi and NFC (instead of just SnapBridge on the D3400). To us, the improved autofocus matters a lot—it’s one of the main points of differentiation between cheaper and more expensive cameras. The LCD is a nice addition too, and particularly if you shoot video. 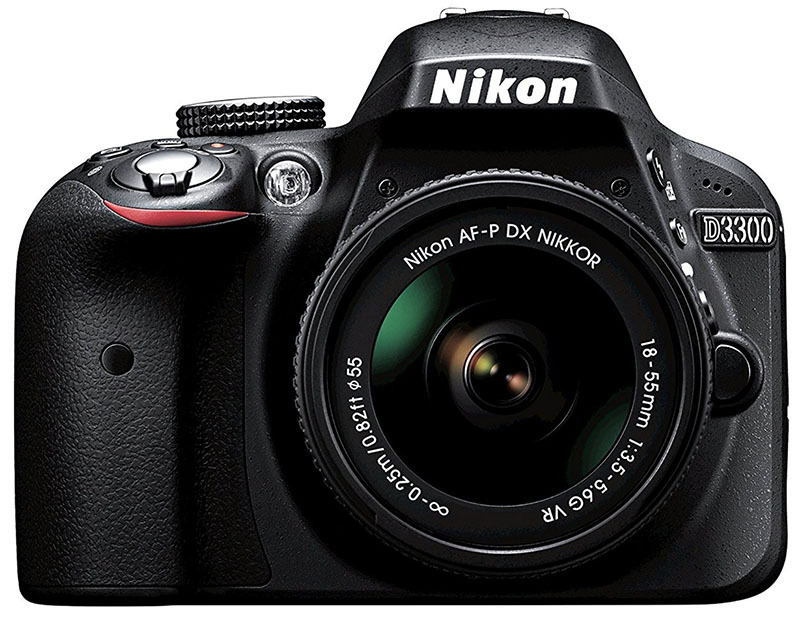 It’s worth noting that at the end of last year Nikon released a new version of this camera, the Nikon D5600 below. We rank the D5500 higher, however, because we don’t think the newer model merits the $100+ jump in price. Yes, you get the addition of Bluetooth via SnapBridge, and the camera has a built-in time-lapse feature and the ability to control auto ISO more easily. But the D5600 is effectively the same camera as the D5500 but for more money. It’s slightly heavier too, which pushed us over the top. 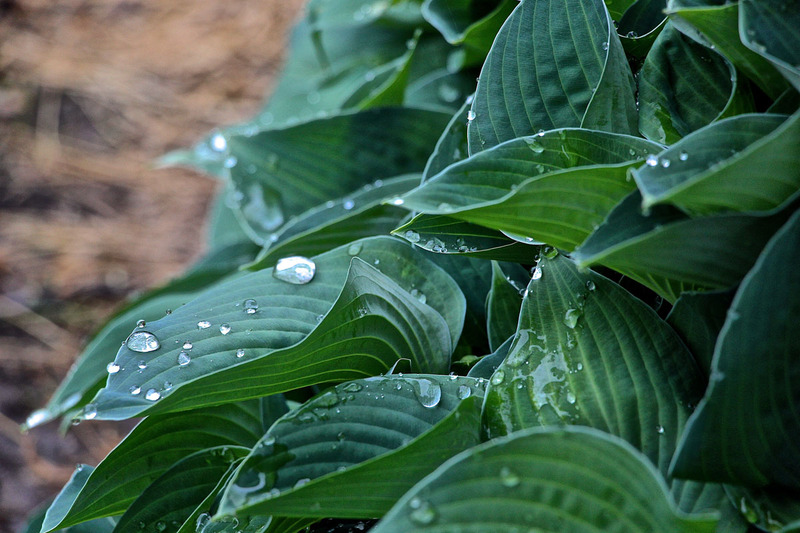 What we like: Good image quality at a reasonable weight. What we don’t: Autofocus is marginal. When the old SL1 was released a few years ago, we were big fans. At that time, it was the smallest and lightest DSLR on the market and a great option for travel and the outdoors. The new Canon Rebel SL2, released in 2017, follows the same mold: it’s a compact entry-level DSLR and essentially is a trimmed-down version of the T7i. We do appreciate the improvements, which include more megapixels, better low light performance, a faster burst rate, and considerably longer battery life. To be sure, this is a markedly better DSLR than the old SL1. All this being said, it feels like the novelty of this series has worn off. Since the SL1 hit the market, mirrorless cameras have emerged in a big way and you can now get a quality interchangeable-lens set-up that is lighter and takes up less space than the SL2 (the Sony a6000 is a prime example and is cheaper than the SL2). More, the autofocus on the SL2 is far inferior to the T7i with only 9 cross-type focus points. All in all, we like the SL2 for still photography when the size of your DSLR matters, but it only merits a mid-pack finish. What we like: A feature-packed DSLR inculding weather sealing. What we don’t: Pentax lens selection. 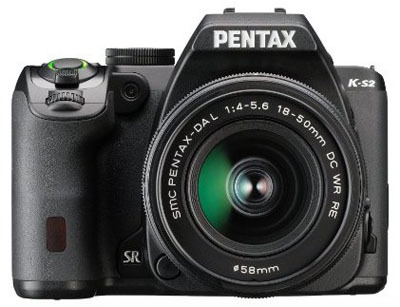 Perhaps we have stepped up to the mid-range category with the K-70 from Pentax, but this DSLR is a very viable competitor to the Canon Rebel T7i and Nikon D5500. In fact, when you compare features and take away brand names, the K-70 is one of the most impressive cameras on this list. You get weather sealing, superior low light performance, built-in image stabilization, and a kit lens with more reach at 18-135mm. Taken together, that’s a whole lot of DSLR for under $800. As is the case with the Pentax KS-2 above, Canon and Nikon offer the best lens selections and brands like Pentax certainly represent a step down in this regard. But given the extended range of the K-70 kit lens—18-135mm isn’t full coverage but much more complete than 18-55mm—you may not have to add lenses after all. The K-70 is not the conventional choice for an entry-level DSLR, but outdoor photographers with the budget should give it a serious look. What we like: Quality stills and videos in an easy-to-use package. What we don't: Currently more expensive than the newer T7i, which makes very little sense. Frankly, we’ve been a bit surprised at how little older versions of the Rebel series are discounted. The Rebel T6i is case in point: it currently costs $899 with a kit lens, while the new T7i actually is cheaper is $849. We don’t always advocate spending up for newer models—often the opposite, in fact—but the T7i sure received a whole lot of important upgrades that would merit spending extra, let alone less. Among them are a superior image processor and sensor, improved autofocus, a faster burst rate, and better battery life. That being said, the Canon Rebel T6i remains a quality entry-level DSLR that was at the top of the heap not long ago. Video quality is excellent—Canon DSLRs are known for video—and it’s sold with STM lenses that focus smoothly and quietly. We also appreciate the built-in Wi-Fi and NFC, which is preferable to Nikon’s SnapBridge app. If the price of the Rebel T6i drops (we certainly hope it does), we like it much more. What we like: A really nice feature set. What we don’t: Very few changes from the D5500. For those who have the budget, we’ve always liked Nikon’s D5000 series: you get more features and performance than the 3000 series while staying at a reasonable price point. However, we just can’t get on board with ranking the D5600 higher. It’s still a quality entry-level DSLR that can go head-to-head with anything from Canon, but the $100+ price difference over the D5500 is not justified in our opinion. As mentioned above, the D5600 adds SnapBridge connectivity, a built-in time-lapse feature, and easier auto ISO control. But it feels like most or all of that could have been accomplished via a firmware update and not an entirely new camera model. Many consumers are waiting for 4K to hit the entry-level end of the DSLR market like it has with mirrorless cameras (see the Panasonic Lumix G7), but until something of that magnitude, we’re sticking with the D5500. What we like: Pretty close to the whole package in an entry-level DSLR. What we don’t: Fewer megapixels than the T6i and competing models from Nikon. Before the release of the Rebel T7i and T6i, we had the T5i at or near the top of this list (we even kept it there when the T6i was $200 more expensive). But the gap in price has lessened and the T6i offers enough in the way of upgrades that we have bumped the T5i down. Our most important consideration is the resolution of the image sensor: the T5i is 18 megapixels vs. 24.2 megapixels on the T6i. In addition, the T5i has a less advanced autofocus system and lacks built-in Wi-Fi. These issues aside, the Rebel T5i currently is considerably less expensive than the T6i with the same kit lens. It’s a quality all-around DSLR that excels for stills and videos, and Canon is known for its easy-to-use functionality. We don’t think you’ll regret going with the T5i, it’s just a question of whether the upgrade is worth it to you. What we like: Weather sealing and other mid-range features. What we don’t: Heavy and pricey. Once again, if you’re willing to look past all of the shiny new DSLR releases, there are some diamonds in the rough from a few years back. Technically speaking, the Canon 70D is mid-range in nature, with a whole host of features including weather sealing (this matters a lot for landscape photographers who frequently shoot outdoors). You also get more manual controls than the Rebel series, faster shutter speed, and better battery life for long shoots. 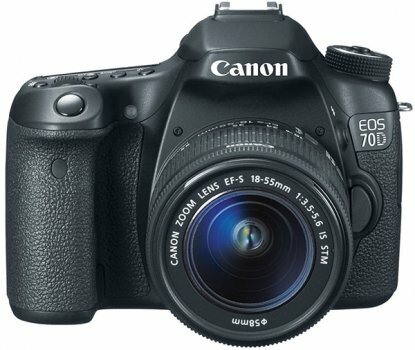 And at $899 with a kit lens, the 70D is now more accessible than ever to the entry-level crowd. The reason we have the Canon 70D ranked here is that DSLR technology has indeed come a long way in the four years since its release. For example, the similarly priced Canon Rebel T7i has 45 cross-type focus points vs. 19 on the 70D, more megapixels at 24 vs. 20.2, and a number of fun shooting modes and other functionality that are relatively new. If you want weather sealing from a Canon DSLR without breaking the bank, the 70D is your best option. Otherwise, we prefer the T7i for $50 less. What we like: Great autofocus and fast shooting. What we don’t: Fewer lens options than Canon or Nikon and the heaviest camera on the list. 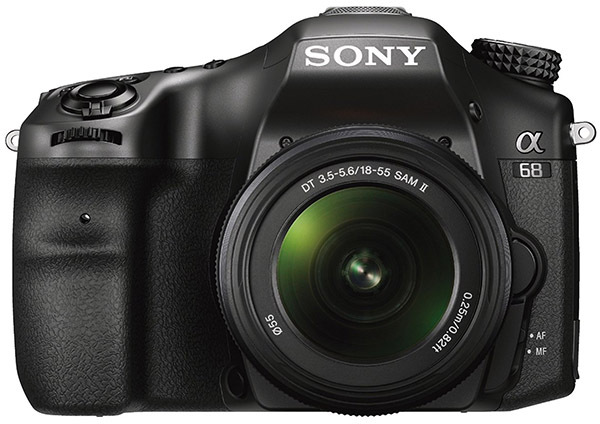 Sony is best known for its mirrorless cameras and point-and-shoots, but the Alpha a68 is very competitive at the entry-level end of the DSLR market. One notable feature is the advanced autofocus system that performs extremely well for action photography, and the camera has built-in image stabilization to help offset camera shake. Along with a 24.2-megapixel APS-C sensor, the Sony a68 is an intriguing alternative to heavy hitters like the Nikon D5500 and Canon Rebel T7i. Two notable shortcomings of the a68 are its mostly plastic build and lack of lens options. Durability isn’t a strong point of entry-level DSLRs in general, and the a68 is no exception despite the rather hefty 24.6-ounce weight (the D5500 and T7i are considerably lighter). And unlike leading models from Canon and Nikon, Sony can’t match the depth or quality of lens offerings. But for those who value shooting speed and accuracy and don’t want to spend up for a semi-pro model, the Sony a68 is a nice option. What we like: Compact and lightweight for a DSLR. What we don’t: Getting a little long in the tooth; overpriced for what you get. The lightweight Canon SL1 was a novelty when it was released a handful of years ago, being the lightest DSLR in Canon’s lineup. Now it feels a little long in the tooth, with an 18-megapixel image sensor and relatively simple autofocus system that has been surpassed by newer Canon models like the SL2 and T7i. At around $570 with a kit lens, the value just isn’t there for us to take the SL1 higher on this list. In fact, it’s more expensive than the Nikon D5300 but an inferior camera in our opinion. In comparing the Canon SL1 and Rebel T5 below, the former offers touchscreen functionality, faster shooting, better low light performance, and a higher resolution rear LCD screen. More, we prefer the 18-55mm STM offered with the SL1 over the 18-55mm IS II offered with the T5. But given the hefty price difference, the T5 is the value play and the cameras above offer a step up in quality. What we don’t: Poor autofocus and slow burst rate. 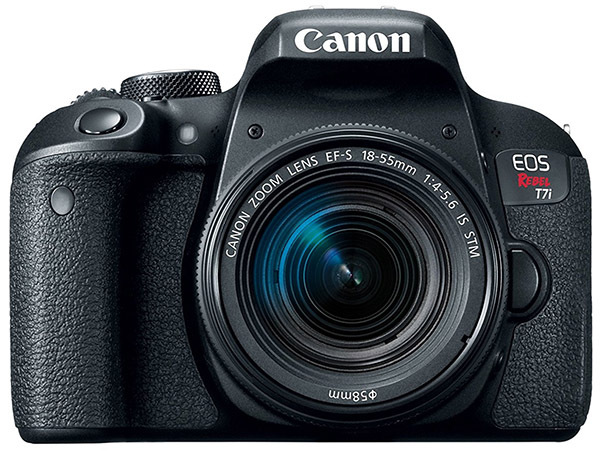 At the bottom of Canon’s entry-level DSLR line is the Rebel T5. This camera isn’t loaded with features by any means, but is available for a bargain basement of less than $400 with a kit lens, making it the cheapest option on this list. Why is it so inexpensive? First, the rear LCD screen doesn’t have touch functionality nor does it swivel. Second, the T5 has a slower burst rate than the T5i at 3 fps instead of 5 fps. Finally, the autofocus isn’t as advanced with only 1 cross-type focus point. But we love the price, which is comparable to some point-and-shoots that don’t offer nearly the same image quality. If you’re comparing the T5 to the newer T6 above, the latter adds Wi-Fi and NFC to the mix along with a higher resolution LCD screen. We think the extra money probably is worth it, but if you don’t need connectivity, the T5 is a fine choice. A key component of an entry-level DSLR is a user-friendly interface that allows you to start shooting great photos out of the box. Both Canon and Nikon are known for having exactly that and the two leading camera manufacturers have been honing the functionality of their entry-level DSLRs for decades. First, these cameras have large and bright LCD screens that are easy to navigate, with most newer models offering touchscreens. Second, the menu itself is easy for beginners to understand and accomplish everything they need to from viewing and uploading photos to changing camera settings. Third, and more on this below, the cameras have a number of automatic shooting modes for a range of subjects and conditions. Entry-level DSLRs have a wide range of automatic shooting modes that can make the camera function like a point-a-shoot when you need it to. For example, the Nikon D3400 has the following automatic shooting modes: portrait, landscape, child, sports, close up, and night portrait. Instead of worrying about settings like shutter speed, exposure, and ISO, a simple dial on the top of the camera allows for quick composition in common scenarios with ideal camera settings for each. In addition, entry-level DSLRs have an “Auto” shooting mode that you can use for any situation. Most beginner DSLRs also have manual controls as well for those who want to experiment. 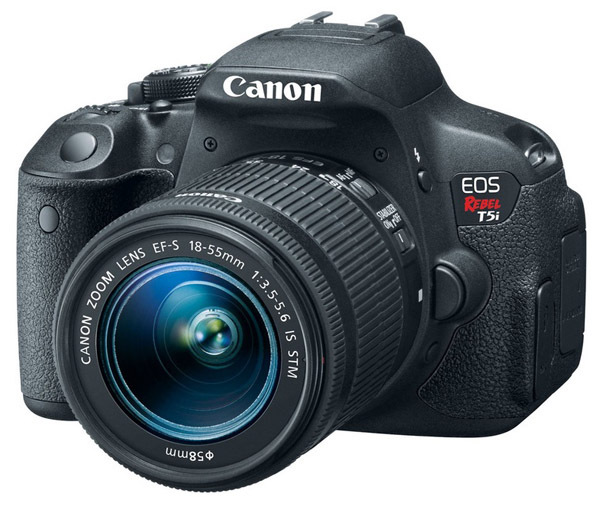 One of the most important factors in choosing an entry-level DSLR is price. The good news for consumers is that DSLR prices have fallen significantly over the past few years while resolutions and features have increased. You can expect to spend anywhere from $400 to $850 for an entry-level DSLR with a kit lens, depending on whether you want one of the newest models or don’t mind saving with an older model. This price range includes a kit lens, many of which are 18-55mm and make a good starter walk-around lenses. Depending on your budget, you also may want to add prime or zoom lenses at your desired focal lengths for even better photos and videos. Nikon shooters can see our article on 10 great Nikon DX lenses, Canon shooters can see 10 Great Canon EF-S Lenses, and many of the models above have a link to specific lens recommendations in the specs. In various articles on this site we trumpet the importance of the image sensor—the surface area that is used to collect light and other data for your digital photographs—over megapixels. Fortunately, in the entry-level DSLR category all of the image sensors are large and reasonably close in size. Canon’s APS-C image sensor, which is used in all of the Rebel series cameras, is 332 square millimeters. Nikon’s equivalent DX-format sensor is slightly larger at 366 square millimeters, but the difference is not enough to sway us one way or the other. Both sensor types are larger than almost all point-and-shoot cameras and many mirrorless cameras, which is why people continue to love digital SLRs. Megapixels—the number of tiny dots on the image sensor—are a different story. There are discernable differences in the entry-level DSLR market that are enough to impact our buying recommendations. Nikon has led the megapixel charge, making the jump a few years ago from the D3100 (14.1 megapixels) to the D3200 (24 megapixels) and the D5100 (16.2 megapixels) to the D5200 (24 megapixels). 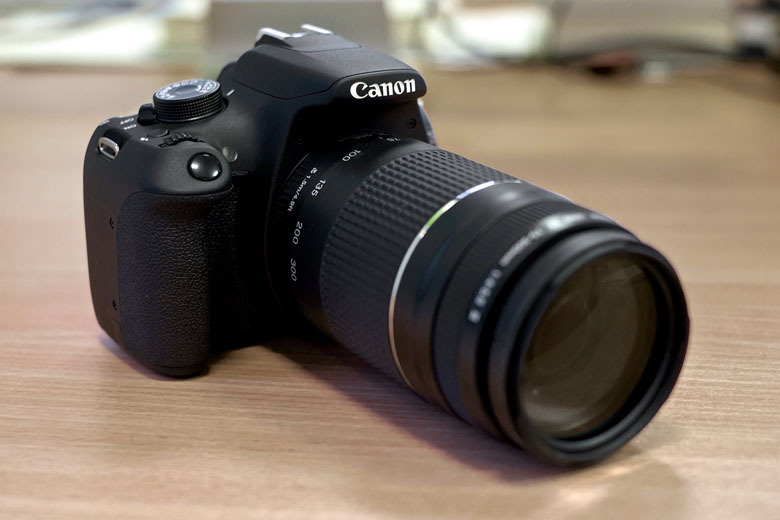 Until the release of the Rebel T6i at 24.2 megapixels, Canon lagged behind with most of its offerings in the 18-megapixel range. The Rebel T6 and T5 still are at 18 megapixels. Taking into account these slight but noticeable differences in megapixels and sensor size, Nikon’s lineup gets the nod in overall resolution. We expect all of Canon’s new Rebel DSLRs to have the same 24.2-megapixel sensor as the new T7i or better, so that distinction may soon disappear (provided Nikon doesn’t make another jump as well). If Nikon has a slight lead in resolution, Canon is known for superior video. Numerous factors influence video quality, including resolution, autofocus, and the lens you are shooting with, but over the years the majority of videographers have preferred Canon. It’s not that Nikon DSLRs shoot poor video—it’s actually quite good—but Canon takes the cake. One current demonstration of Canon’s commitment to video is the STM kit lenses offered with cameras in the Rebel series. STM stands for Stepping Motor technology, and these lenses were designed for video with smooth and silent autofocus. You’ll notice that new Canon cameras like the Rebel T7i are offered only with STM lenses including the 18-55mm STM, 18-135mm STM, and 55-200mm STM. If you an aspiring videographer searching for a camera in the entry-level DSLR category, we recommend either the Canon T6i or T5i, both of which have the functionality and features to get you well on your way. One more factor to consider in the video analysis is speed. None of the cameras on this list shoot 4K video, but all shoot 1080p and 720p at a variety of speeds. 30 fps and 24 fps are the most common shooting speeds in the United States (25 fps in Europe), but some entry-level DSLRs also shoot at 60 fps, which is used for slow motion footage. Surprisingly, the Canon T6i does not shoot 60 fps while cameras like the Nikon D3400 do (that’s one video notch for Nikon). Often, improvements from one generation to the next involve the LCD screen on the rear of the camera. Screen resolution matters, but the most important distinctions in this category are touchscreen functionality and the ability to move or swivel. True entry-level DSLRs like the Nikon D3300 and Canon Rebel T5 have stationary LCD screens without touch functionality. On the other end of the spectrum, the LCD on the pricier Canon Rebel T6i is touch sensitive and can rotate 270 degrees. The LCD on the Nikon D5500 also is a touchscreen and features a 180-degree swivel. This type of advanced LCD functionality can make shooting videos and stills at tough angles much easier. High-end and mid-range DSLRs have complex autofocus systems with tons of focus points. Unfortunately, this is one facet that gets simplified on cheaper cameras to make them more affordable. There aren’t hard-and-fast rules as to what constitutes great autofocus, but good places to start are the number and type of focus points. Multiple focus points help improve accuracy, so the more the better. In addition, Phase Detection is faster than Contrast Detection, and cross-type sensors are more accurate than simpler vertical line sensors. Understanding the full complexities of autofocus is worthy of a full article in itself, but generally you can expect autofocus to improve as you spend more for a DSLR. For example, the cheapest camera on this list, the Canon Rebel T5, has a very basic autofocus system with 1 cross-type focus point. The much pricier Canon Rebel T7i has a whopping 45 cross-type focus points, which is quite a difference. As cameras continue to compete with smartphones as connectivity is more important than ever, built-in Wi-Fi and NFC are commonly found on new DSLR camera models. This functionality has become commonplace and we expect nearly complete proliferation over the next couple of years. Nikon’s latest generation of entry-level DSLRs like the D5600 and D3400 come with built-in Wi-Fi and/or SnapBridge (previous models require a separate WU-1a adapter). 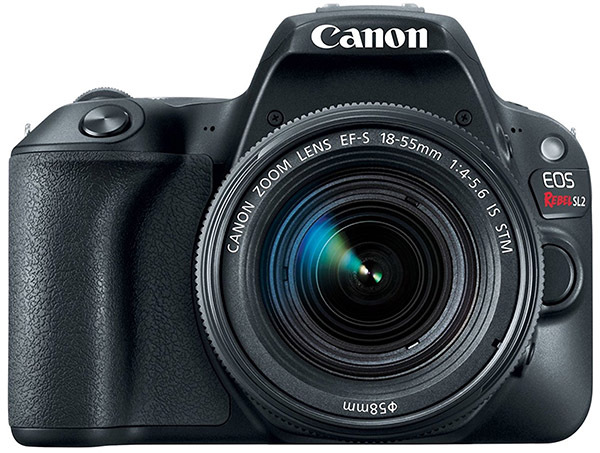 Canon’s latest Rebel model, the T7i, has built-in Wi-Fi and NFC (older models like the T5i are able to connect with a special wireless memory card but not through the camera itself). One thing to keep in mind when using built-in Wi-Fi is that transferring all of your photos all of the time can eventually take a toll on your camera’s processor. Don’t be afraid to use Wi-Fi, but if you have a cord handy and it’s convenient to transfer photos in that manner, doing so may help prolong the life of your camera. The process of weather sealing a camera involves adding rubber sealing and housing on the body and around the buttons to make the camera more resistant to moisture and dust (both can be an absolute killer to your electronics). Unfortunately, aside from Pentax weather sealing technology hasn't yet trickled down to the entry-level category and you’ll need to spend up for an enthusiast DSLR like the Nikon D7200 or Canon 80D for this feature. For more options, see our list of weather-sealed DSLRs. It’s very exciting when your DSLR arrives. First charge the battery, then read or skim the manual for a good baseline of information on how your camera operates. Both Nikon and Canon have a number of videos on their websites to help with the learning process, and the popular book series DSLRs for Dummies is another good option. Once you’ve done that, there is no better way to learn than taking the camera out for test shoots, even if it’s just in your backyard or on your street. Start on “Auto” mode to get a feel for how the camera operates and make sure to familiarize yourself with the menu and the basic functions that you’ll be using most (viewing and deleting photos, uploading, changing settings, etc.). All of the DSLRs above are meant for quick learning and taking great photos without prior experience. Above the entry-level category are enthusiast and full-frame DSLRs, which offer better image quality and more features. Of course, these cameras are much more expensive too, not to mention the increased cost of lenses. The good news is that enthusiast DSLRs have the same size image sensors as entry-level models. Why are these cameras more expensive? You get a larger feature set including things like superior autofocus, built-in image stabilization, faster burst rates, better video, weather sealing, and more manual controls. The step up to a full-frame camera gets you a much larger image sensor and just about every feature that professionals want. Interestingly, if you have the budget and a serious interest in developing your photography skills, you can skip the entry-level category altogether. The reason is simple: even the best full-frame cameras have automatic shooting modes across the board, so you can just leave the camera on auto pilot until you learn the controls and features. This is the more expensive way to start but a viable option nevertheless. For a complete list of options across categories, see our article on the best DSLRs of 2018. You may have heard the buzz about mirrorless cameras, which forego the internal mirror systems of DSLRs and therefore are more compact. Because the sensor sizes are in the same ballpark, they often are touted as offering the same image quality in smaller packages. We’ve tested and written extensively about mirrorless cameras, and often use them for our own outdoor and travel photography. However, we can tell you that for our money, entry-level DSLRs are superior to entry-level mirrorless cameras. For example, when shopping for a camera under $500, we prefer the DSLR options to the mirrorless options. A camera like the Nikon D3400 at $500 has a larger image sensor than many mirroless cameras (Micro Four Thirds, for example), an optical viewfinder, Nikon’s easy-to-use functionality, and the kit lens is better than anything comparable in mirrorless. It’s when you’re shopping in the $500 to $1,000 price range and above that mirrorless becomes more attractive. But for beginners and those on a budget, we still prefer digital SLRs.